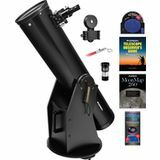 Up to 100 ft./1000 yds. 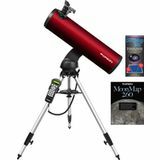 101 - 200 ft./1000 yds. 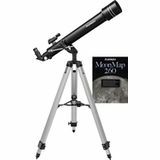 301 - 400 ft./1000 yds. 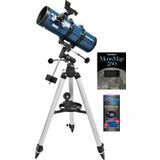 The SkyQuest XT8 Classic reflector has features for both beginners and experienced users. 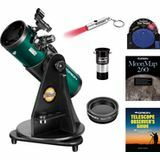 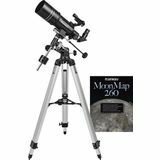 It has a large aperture, the stable base glides easily to give you total pointing control, and this package includes a Barlow and Beginning Stargazer's Toolkit. 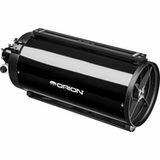 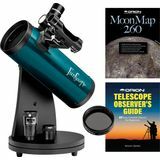 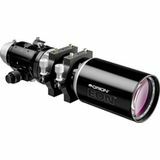 If you're looking for a great starter telescope, but are worried about taking up too much space, Orion has the answer! 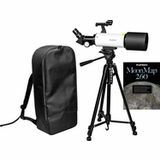 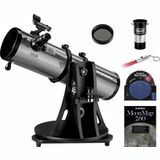 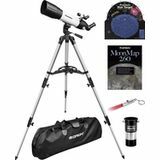 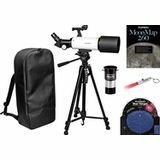 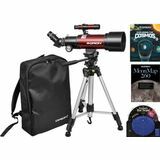 Our CT80 EQ 80mm refractor kit packs a lot of stargazing performance into a compact telescope setup. 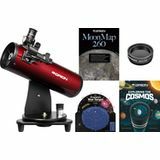 The whole family will enjoy effortless viewing day or night! 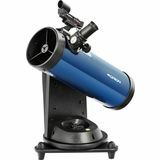 The VersaGo 90 refractor serves up stunning views of lunar craters, Saturn's rings, and cool nebulas. 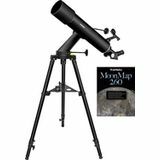 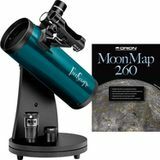 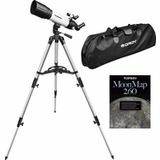 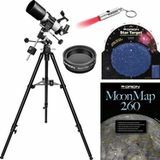 Comes with two Plossl eyepieces, correct-image diagonal, red dot finder, and Moon map.